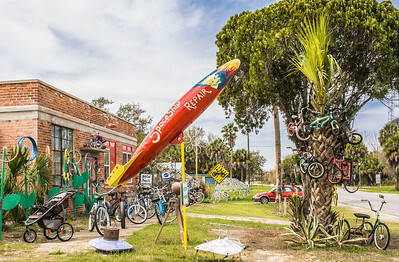 Warm, sunny and vibrant Florida landscapes. 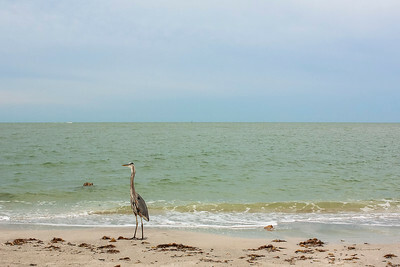 Great blue heron, seemingly a resident of Madeira Beach, Florida. Following fishermen for a snack at John's Pass. A 1950's looking shot of beach chairs and condos. 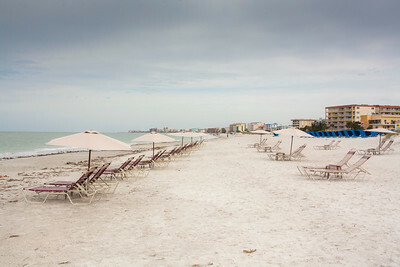 Many of the buildings on Madeira Beach were built in the 1950's, giving it a funky vibe. 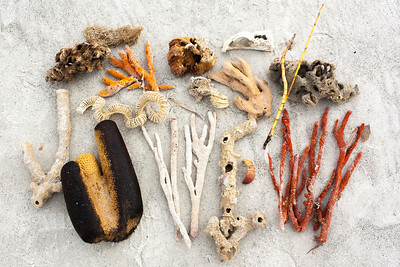 Someone made a still life of the creatures that washed up on the beach overnight. Sponges, coral, a skull, a crustacean, sea plants. 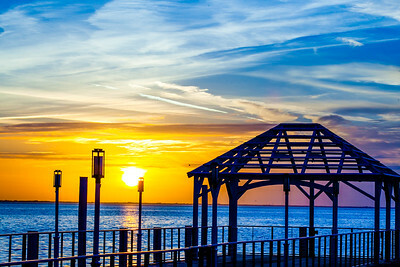 Sunset at the Godfrey Resort on Rocky Point near Tampa, Florida on a chill night. 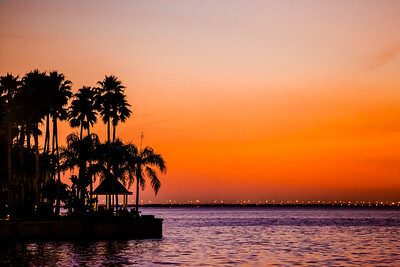 A vibrant sunset at Rocky Point near Tampa overlooking Tampa Bay and Courtney Campbell Causeway. If you need repairs to your spaceship, this is the place. Quirky Appalachicola. Lots of galleries, restaurants, boating and fishing. 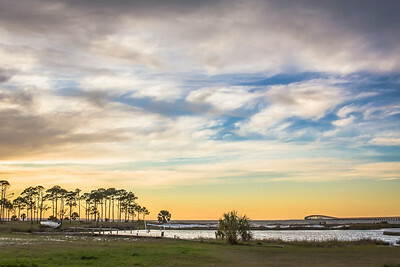 Looking toward the mainland on the north side of St. George Island on the Forgotten Coast of the Florida panhandle. Sunset and the lighthouse on St. George Island on the panhandle of Florida - the Forgotten Coast.